As you all know, I have an Anastasia Beverly Hills Preorder going on right now because I love my Dipbrow Pomade and I NEED to share it with you all. I am loving this so much. I am using the shade Dark Brown although initially, Chocolate was my choice but I saw it was too dark even for a tanned girl like me. I wasn't really going for the dark brows look anyway. I am using it with my Sigma's E65 Small Angle brush which I have been using since last year. But you can use it with their recommended Large Synthetic Duo Brush #12. 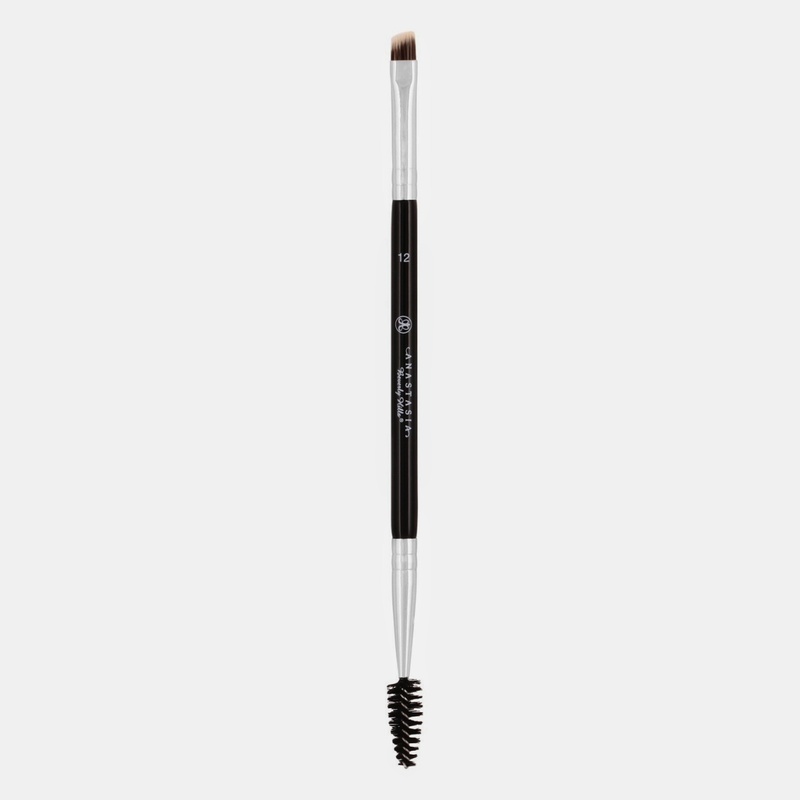 Both of the brushes are angled, makes it easier for you to shape your eyebrows. It has a texture like wax which makes the staying power a whole lot better than pencils or powder. It shapes your eyebrows perfectly and hold that shape for the whole day. So for those who refuse to pluck/wax your brows, this one is perfect for you. I used this for the first day of Eid and was mad impressed by how my brows stayed throughout the day. It didn't even budge and by the end of the day, it was still there! Mind you, it was an Eid visiting day which means it was a morning till night affair. It is a little bit on the pricey side but I assure you it is worth it and it can last for more than a month, even if you use it daily. I'll be putting up and updated eyebrow routine video using the Dipbrow. So keep a lookout! 1 comment on "Anastasia Beverly Hills Dipbrow Pomade"
Hi, may i know when is your next order? Im really keen to purchase.